Image used under Creative Commons license from Matt Zimmerman. Situated at the gateway to the largest national park in the United States and the confluence of two mighty rivers—the Copper and Klutina—the Copper River Valley area offers a mindboggling array of daily activities in the outdoors. Not sure where to start? We’ll run down your options so you can get an idea of the variety, intensity, and highlights of all the amazing excursions available in the area. Choose an adventure that suits you! Scenic River Excursions. Get acquainted with the Copper and Tazlina rivers with a mellow rafting excursion. Piloted down the current, you’ll have plenty of time to soak in the Wrangell mountain views, spot working fish wheels, and see a variety of wildlife, including bald eagles. Or sign on for a luxury jet boat tour and take in the sights from a completely enclosed cabin (great for rainy days or chilly mornings). Both options offer a chance to stop and check out artifacts from the Gold Rush era. Sea Kayaking. 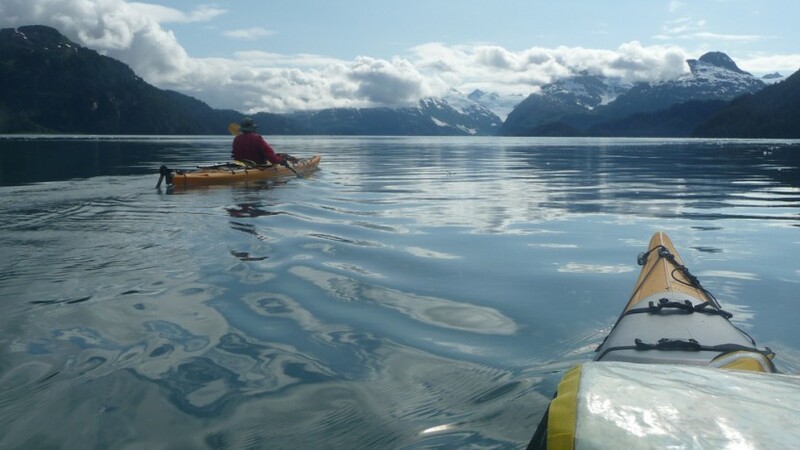 If you prefer to take a more hands-on approach to sightseeing-by-water, pick up your paddle and join a guided kayak tour of the Port of Valdez. Here, the waters of Prince William Sound offer a serene viewpoint for the dramatic Chugach Mountains. During your tour, you’ll get a rare and intimate view of the marine habitat along Duck Flats. Glacier Cruises. Experience the wonder of Columbia Glacier when you embark on a cruise in the Prince William Sound. Columbia Glacier is one of the fastest-moving glaciers in the entire world, and the last tidewater glacier in North America. This is your chance to take in the sea breeze and see it for yourself! Speed Things Up. If you’d like to add a little more adrenaline to your life, why not try some whitewater rafting in the deep backcountry of the Klutina River Canyon? Another idea: raft the same stretch of river on a jet boat and sit back in the comfort of suspension seating as your crew encounters exhilarating Class III rapids and a peek into the flora and fauna of the Chugach Mountains. Copper River salmon are some of the most famous—and tasty—in the world. Reel one in for yourself with an expedition by raft or jet boat. Whether this is your first time with a rod and reel or you’re a seasoned fisherman, guides will show you the best banks to fish. All gear will be included for half- and full-day trips, and better yet, you have the option of getting your catches processed and shipped to meet you at home. 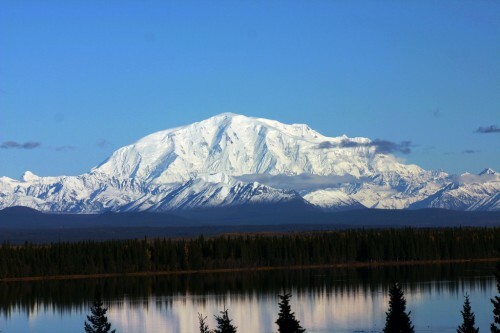 Image used under Creative Commons license from Wrangell-St. Elias National Park & Preserve. Go for high-octane thrills or simply relish motoring in the pristine wilderness. 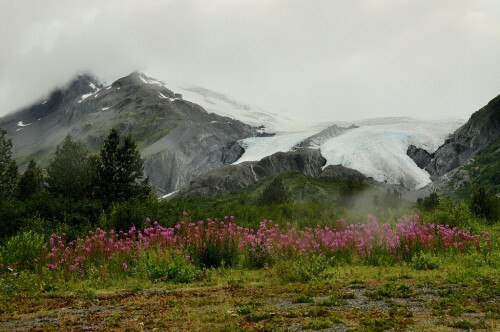 Scenic ATV tours of the Copper River Basin allow you to explore forests and valleys, investigate signs of wildlife, and witness the panoramic spectacle of the Wrangell and Chugach Mountain ranges from the “Devil’s Elbow” overlook. In contrast, more adventurous ATV rides allow you to climb over 4,000 feet into the Chugach Mountains via a challenging and rugged trail. Once you’ve made it above the tree line, the day is yours to scramble about the rocky escarpments or view Dall sheep and grizzly bears through high-powered optics. Image used under Creative Commons license from faungg. Nothing beats a hike in Alaska—the peace and quiet along with breathtaking views create an outdoor experience that’s not to be missed. Hiking opportunities abound throughout Wrangell-St. Elias National Park and in surrounding wilderness areas, including the gorgeous Klutina Lake Trail. For an even more memorable experience, take a hike on the Worthington Glacier, which dominates the scenery of magnificent Thompson Pass. Once outfitted with shoe crampons, you’ll have the once-in-a-lifetime chance to climb on top of a glacier and investigate its crevasses and ice formations. Image used under Creative Commons license from Mark Levisay. The history of the Copper River region is braided through with the history of gold and copper mining in Alaska. 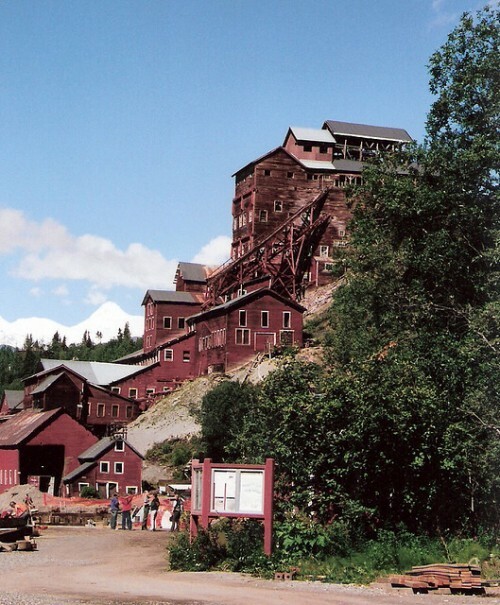 A trip to the preserved Kennicott copper mines includes a visit to the frontier ghost town of McCarthy and follows the route of the original railway that served the miners. Nicknamed the “Can’t Run and Never Will,” you’ll be able to draw your own conclusions as to why the railroad earned its name. For an interpretive discussion of the wildlife and natural beauty that surrounds you in the Copper River area, join a tour of Copper Country. The tour includes a scenic trip to view the volcanoes of the Wrangell range, a tour through the Wellwood Nature Center, and a short walk along Willow Creek to view the breathtaking Tonsina River gorge. This trip provides a great family-friendly option to truly immerse yourself in knowledge of the area. With some of the tallest mountains in the country surrounding you and a lush selection of river valleys and canyons to explore, a scenic flight is just the thing to truly get the lay of the land in Copper River. 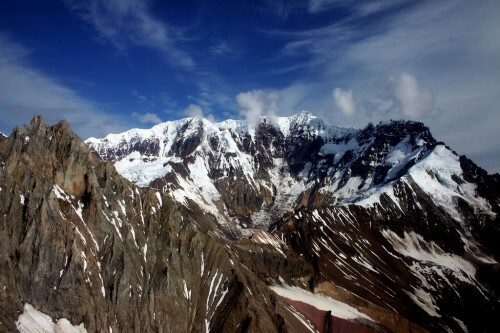 Flying tours touch down in historic McCarthy and the Kennecott copper mines, or take a panoramic approach with a flight over the 13 million acres of Wrangell-St. Elias National Park. From the vast Nadina and Sanford glaciers to the soaring crater of Mt. Drum, you’ll be able to view corners of the Alaskan wilderness that few others get the chance to see. Last but not least, you’ll swoop over rare mud volcanoes and get a feel for the varying forest and meadow terrains of the Wrangell mountains. Dog sleds are an Alaskan tradition that date back to the Native Americans, who used dog teams to transport food and supplies over the snow. Meet a modern-day musher and team, and learn how dogs keep in running shape during the summer season. After a demonstration, climb on a sled yourself and feel the exuberance of the team as you’re pulled along at high speed! For more information about booking any of these experiences, head right over here. Whether you’re in the mood for hardy voyages, peaceful hikes, glaciers, whitewater, or all of the above, you’re sure to enjoy an adventure(s) to remember in Copper River.